Vinification & Aging: Mechanical removal from the stems, traditional mash fermentation in stainless steel tanks at temperature control. Must extraction is carried out when fermentation is completed in order to assist the biological acid degradation. When the Biological Acid Degradation is completed this Grossvernatsch is ready to be prepared for bottling. 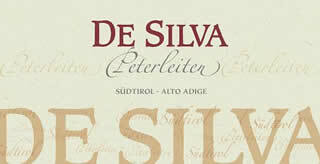 Description: It is a classic South Tyrol wine. It is pleasantly mild and fruity, and it convinces by its gentle and amenable character.